MJH Helipad is now complete! Congratulations to Buba (James Miller), Shane Reed, and Colby Fitzgerald for a job well done! The new warehouse and distribution facility is approximately 25,000 square feet and fully refrigerated. Its location near the I-64 corridor is designed to allow the company to better reach the Richmond, Va., market. Cavalier Produce had been in its previous building for 15 years. The new state-of-the-art facility is equipped with a loading dock, control coolers, freezers, and is able to accommodate the company's 20 trucks. It also houses Cavalier’s corporate offices. This project will provide a dedicated underground power feed to the University of Virginia. The new ductbank will connect 3 power stations through a combination of two, four and six way underground ductbanks all consisting of 8” PVC conduit encased in concrete. Large precast electrical vaults will be placed at 500’ intervals with the largest vault measuring 9’X9’X17 outside dimensions. 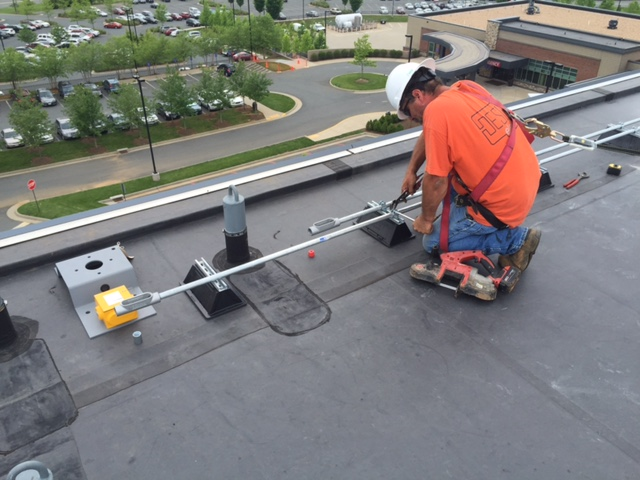 This project will be a renovation of the first floor of the UVA Outpatient Surgery Center. Work includes kitchen remodels, lighting upgrades, Fire Alarm Systems, & bathroom upgrades. Work in all includes unfitting all existing elevators. Southwire is recalling some defective voltage testers because they don’t work! I don’t think we’ve ever given any Southwire testers out, but the possibility exists that some might have one of their own.